Check out all these events for Florida REALTORS™ next week! In just under a week Orlando is going to become the coolest place for Real Estate Agents to hang out, network, and have fun. To kick off the festivities Michael Maher, author of “7 Levels of Communication: Go from Relationships to Referrals” is joining us for tomorrows Real-TechGuy Radio Show. The 7 Levels Book has inspired a movement called the “Generosity Generation.” It’s all about helping the people around you in order to help yourself. 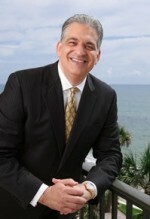 Bob Burg will also be there, author of “The Go Giver.” Apparently he’s a big deal too, so I’m looking forward to hearing from him and Michael at the event. I’m not one of these ‘touchy feely’ types, but I’ve put into practice what I learned from the book and I’m already seeing vast improvements in my business. If you can make this event, I have a feeling it’s gonna be great. Plus you’ll also learn about mobile marketing & some cool Craigslist marketing if we have time. Where do all the Tech Savvy Agents Hang out? Real Estate BarCamp is the Unconference. You show up – vote for what topics you want to learn about and then they start sessions around the most popular topics. Seems crazy but everyone says it works. I’m going to lead a session there, so if you’ve got ideas of what you’d like me to teach you, leave them in the comments below. Time: All day I guess? The Florida Realtors Conference is open to non-members. However, this is the State association’s annual conference. There are tons of educational courses throughout the conference, a Trade Show that is filled with the latest technologies and business tools for Realtors. Business sessions are attended by volunteers from every part of the great State of Florida who give of their time for years to design educational programs, address political and fundamental issues that affect Realtors and real estate owners. These same volunteers unselfishly take the time to help protect the Realtor profession and Florida residents and consumers, promote Florida Realtors and real estate. There’s not much time for hobnobbing and schmoozing, but Realtors here sure enjoy the company of others, the fellowship and company of other hard working Realtors who we rarely see or get to spend time with.